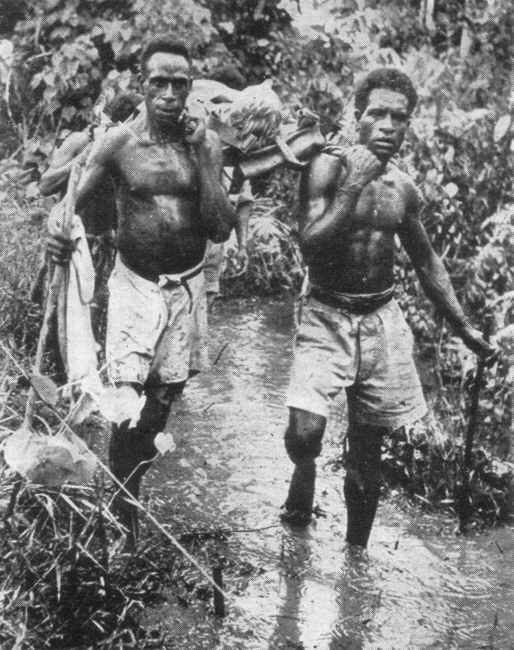 One of the essential tasks carried out by the local bearers on New Guinea was the evacuation of casualties. Note the flooded track. The Allies received a great deal of aid from the Papuans during this campaign.